Originally built for the 1967 Montreal World’s Fair, La Ronde is now the city’s exhilarating Six Flags amusement park. Great views, thrilling rides and fun festivals make this park worth a day’s visit. Take a ride on Le Monstre. At 131 feet (39.9 meters) tall, it is the highest two-track wooden roller coaster in the world. Experience the thrills of the yellow and blue Goliath, which was once the tallest and fastest roller coaster in Canada and only recently lost its title. Don’t miss the beautiful views from the Grand Roue, La Ronde’s Ferris wheel. Overlooking the St. Lawrence River to the west, the Grand Roue provides some of the best snapshots of the Montreal skyline you’ll find. Every Saturday from the end of June through the beginning of August, La Ronde hosts the Montreal Fireworks Festival. Each evening features a fireworks display representing a different country. The fireworks are shot up over Dolphin Lake in the center of the park. Tickets to the festival are available, but many enjoy the view from outside the park. Watch for free from the Jacques Cartier Bridge, which spans the river just south of La Ronde. 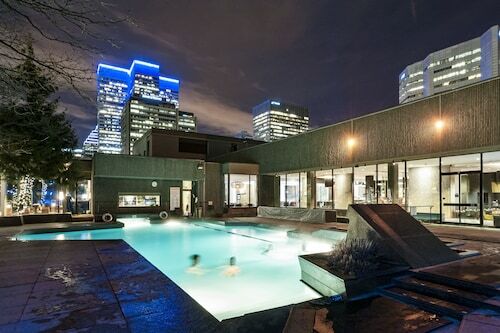 You’ll be standing shoulder-to-shoulder with crowds of Montreal locals. La Ronde celebrates Halloween every year with a month-long Halloween Fright Fest, when costumed movie monsters roam the park on weekends. If you’re worried about the lines, La Ronde offers three types of Flash Passes for a higher admission fee to shorten wait times. The Platinum Flash Pass even lets you ride most roller coasters twice after waiting in line just once. The park is open daily from mid-May through August, and on weekends in September and October as well. La Ronde is located on the northern tip of St. Helen’s Island on the St. Lawrence River. It is accessible by bus and car, and secure paid parking is available. 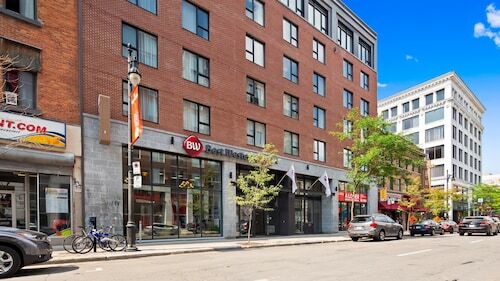 This 17-story hotel is adjacent to Longueuil Station and a short ride into downtown Montreal via Metro. 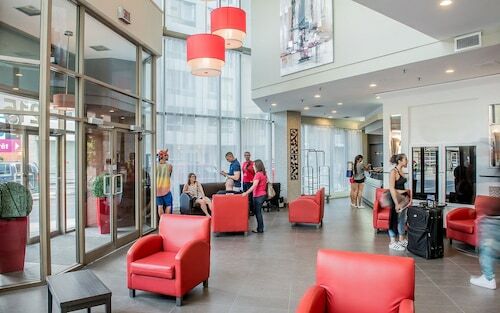 Hôtels Gouverneur Montréal is in the Latin Quarter, a 15-minute walk from the cobblestone streets of Old Montréal. The historic downtown offers shops, restaurants, and landmarks like Notre-Dame Basilica. Guests can also browse the shops lining Saint Catherine Street, a 10-minute drive. 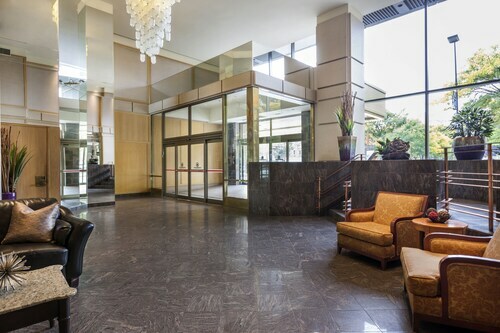 Located in Ville-Marie, this hotel is within a 10-minute walk of Sainte-Catherine Street, The Underground City, and Complexe Desjardins. Old Port of Montreal and Notre Dame Basilica are also within 15 minutes. Champ-de-Mars Station is only a 5-minute walk and Saint Laurent Station is 7 minutes. 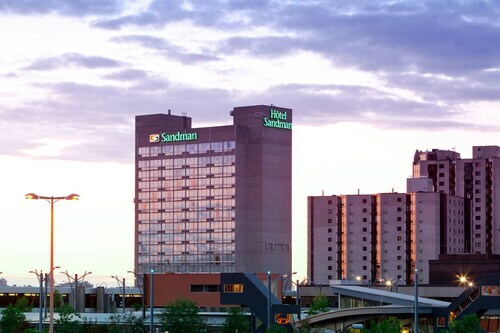 Located in Ville-Marie, this hotel is within a 10-minute walk of Sainte-Catherine Street, The Underground City, and Complexe Desjardins. Old Port of Montreal and Notre Dame Basilica are also within 15 minutes. Champ-de-Mars Station is 5 minutes by foot and Saint Laurent Station is 6 minutes. 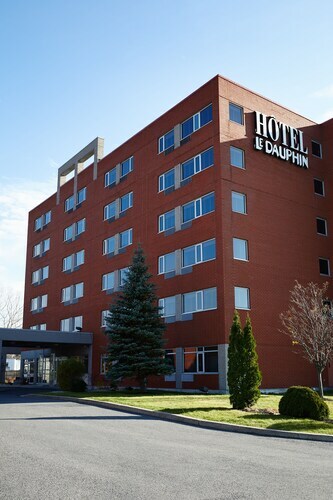 Situated in the suburbs, this eco-friendly hotel is 0.3 mi (0.4 km) from Place Longueuil and within 3 mi (5 km) of La Ronde Six Flags and Sainte-Catherine Street. Montreal Casino and Biosphere are also within 3 mi (5 km). Sherbrooke University Station is 10 minutes by foot and Longueuil Station is 11 minutes. 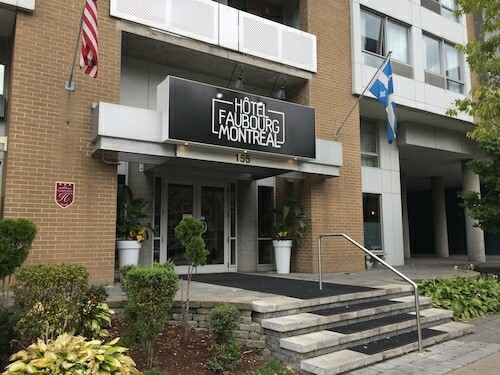 Located in Ville-Marie, this hotel is within a 10-minute walk of The Underground City, Notre Dame Basilica, and Place des Arts. Christ Church Cathedral and Bell Centre are also within 1 mi (2 km). Place d'Armes Station is 5 minutes by foot and Square Victoria Station is 5 minutes.